The EAS working group on Quality Control has been very active since the meeting in Parma. Apart from general description what is the role of EAS Working Group on Quality Control (QC) under leadership of Dr. Branko Sikoparija. This working group is relevant to ensure that EAS continues to serve as platform for the organization of inter-laboratory QC tests which many labs need to assure their performance in various certification processes. There was quite some interest in two completed pollen inter-laboratory tests and one ongoing fungal spore inter-laboratory test. With these inter-laboratory QC tests the same slides(s) is analysed by several pollen monitoring laboratories which results the entire exercise requires a lot of time because the samples need to travel around Europe. With this information the Working Group QC can try to suggest geographically close groups (up to 5 labs) that could arrange exchange of samples and performing the data analysis. In this way the sample slides will not need to travel a long distance and this may save time so interlaboratory tests could be performed more frequent. Many thanks in advance, on behalf of Dr. Branko Sikoparija. 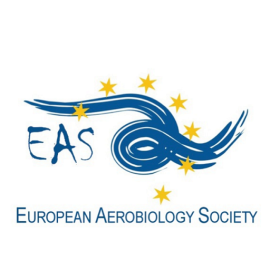 EAS offers two grants covering the inscription for Basic Course on Aerobiology and one grant covering the course fees for Advanced Course on Aerobiology. The Professorship of Physical Geography / Landscape Ecology and Sustainable Ecosystem Develop-ment (Prof. Dr. Susanne Jochner-Oette) at the Faculty of Mathematics and Geography of the Catholic University of Eichstätt-Ingolstadt invites applications for a PhD position (65 %, E 13 TV-L) to be filled from March 2019 as temporary employment for the period of three years. Topic: Climate change is believed to increase pollen production and allergenicity. Up to now, little is known about additional biotic and abiotic factors that might alter these pollen characteristics. Within this project funded by the DFG in-depth knowledge should be gained which allows the prediction of future alterations under climate change conditions in more detail. An interdisciplinary collaboration between scientists of landscape ecology, phytomedicine and environmental medicine shall answer how biotic and abiotic factors impact pollen production and allergenicity and finally the allergic reac-tions in patients. Please send your application with the usual supporting documents by e-mail to Prof. Dr. Susanne Jochner-Oette (susanne.jochner@ku.de) by February 15, 2019. AutoPollen (Automatic Pollen Detection Network) seeks to take full advantage of the large potential for progress that automatic pollen observations provide. 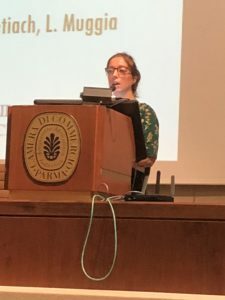 One of the aim is to define the main standards of automatic pollen monitoring and demonstrate the feasibility of a European network by integrating developing and planned projects. A cooperation agreement for participation in EUMETNET programme AutoPollen between EIG EUMETNET and the European Aerobiology Society has been signed. This program will continue until 31 december 2022. 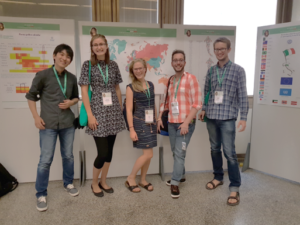 Organised by the Federal Office of Meteorology and Climatology MeteoSwiss under the aegis of the International Association for Aerobiology (IAA) and the EUMETNET Programme AutoPollen. Course themes: automatic and real-time pollen monitoring, instrument calibration, data analysis, machine learning, influence of weather parameters. 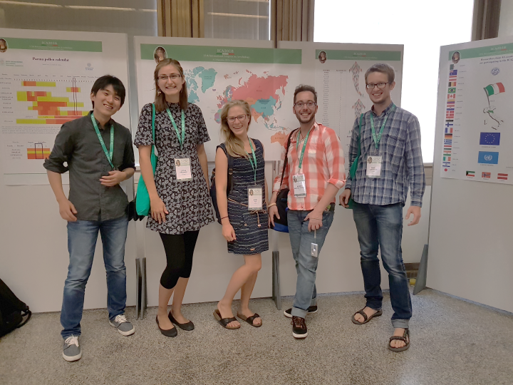 Small groups of participants will focus on particular topics of interest in greater depth and present a summary of their work at the end of the course. The course will be held from Monday – 14h to Saturday – 13h, with an afternoon dedicated to the visit of the “Tête d’Or” park and an evening in the old town of Lyon. The price (600 €) includes accommodation for 5 nights, meals from Monday evening to Saturday morning. To register, please contact rnsa@rnsa.fr. The dates of the 7th European Symposium on Aerobiology are known, the Symposium will take place from 15th to 20th of June 2020, in Cordoba, Spain. The 2nd Aerobiology and Palynology Symposium will take place in Bodrum, Mugla, Turkey from 7th to 10th of October 2018. During next ICA in Parma (3-7 September 2018), the EAS Committee meeting will take place on Wednesday 5th September from 12.45 to 14.15. The EAS General Assembly will be on Thursday 6th September from 13.10 to 14.30. For a full-time position (100%) to occupy the regular working time in an employment contract initially limited to two years. The position is open to job sharing, given its full-time coverage is guaranteed. The employer is the University of Augsburg, the place of employment is the UNIKA-T, Neusässer Straße 47, 86156, in Augsburg. The remuneration is paid according to personal and collectively agreed conditions and up to fee group 9 TV-L. Severely handicapped applicants are preferably recruited with otherwise substantially the same qualifications and professional performance. The University of Augsburg promotes the professional equality of women. Women are specifically invited to apply. The University of Augsburg is particularly commit-ted to the reconciliation of family and work life. by post to Dr. Clemens Heuson, UNIKA-T, Neusässer Str. 47, 86156 Augsburg, or per E-Mail to clemens.heuson@unikat.uni-augsburg.de .